What is your duty of care for car parks and walkways? – What It Is? As we approach autumn and winter, it’s time to start preparing for the sometimes-challenging weather conditions we face during these seasons. 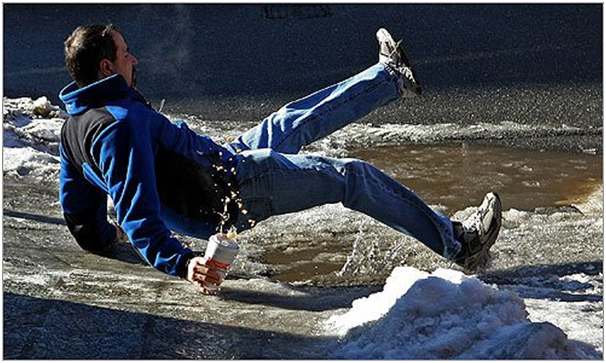 When conditions become icy, there is more of a risk of pedestrians and employees tripping or slipping over whilst exiting their vehicles and entering a company’s building. The winter brings with it darker days, longer nights, leaves strewn across the roads and pavements and often unpredictable weather patterns. It’s important to remain vigilant and stay on top of maintenance and upkeep of your outside areas during these months. Firstly, you’ll want to assess the risks in your outside areas and find out where potential hazards lie. This must form part of an ongoing inspection and maintenance programme to continue each year. Once the risks are identified, an action plan can be put in place to deal with them before the bad weather hits. Finding and fixing any uneven surfaces, such as broken paving slabs. Put up signs to discourage people from taking shortcuts across grassy or other inappropriate surfaces. When laying a new footpath, think about how people will move around on it and adjust your plans to factor this movement in before laying. 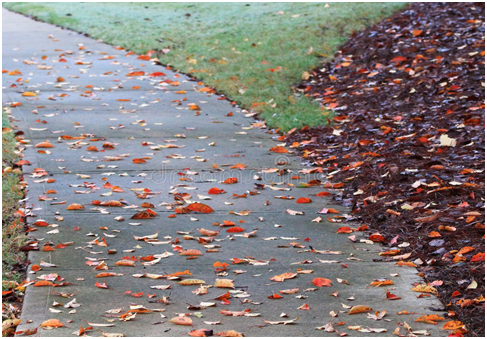 Keep pathways clear of debris such as wet, fallen leaves as these present a slip risk. If the problem is a major concern, it might be worth considering the removal of nearby trees and plants responsible for the leaf problem. When gritting walkways, make sure you do this at the correct time. You’ll need to keep an eye of weather updates and forecasts. If you grit during rain, it will be a waste of time. That’s why it’s best to contact a professional company to provide this service for you.